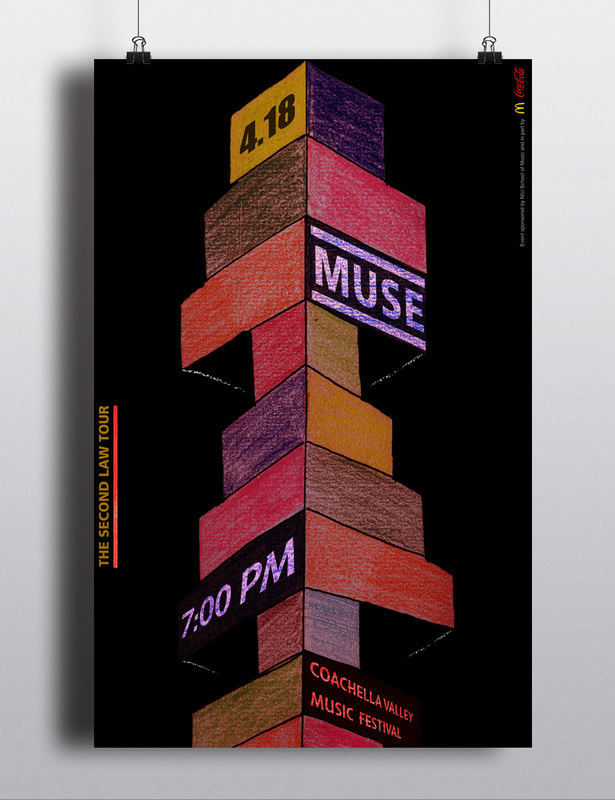 I created music poster design as part of my Intermediate Visual Communication II class. The challenge was to create a poster that related to the bands tour while having a hand-generated element in the poster to make it feel more welcoming. My solution was to design a poster that related to the bands unique stage setup for this concert tour.